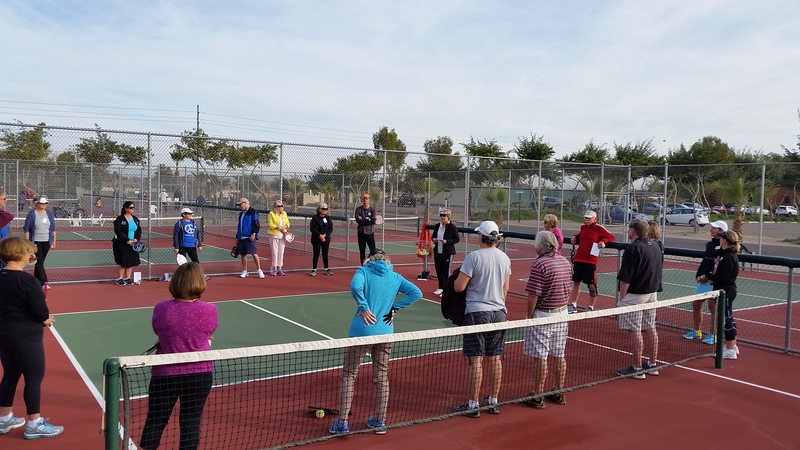 The ultimate mission and goal of our PEM Pickleball Club is to provide a fun, healthy, recreational and social activity for the residents of Pueblo El Mirage RV & Golf Resort. 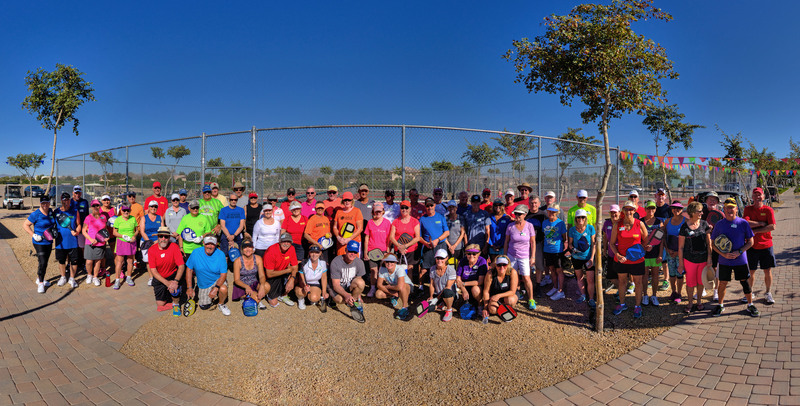 Our Pickleball Club is organized exclusively for the purposes of promoting the sport of pickleball within the Pueblo El Mirage RV & Golf Resort. Members have regular monthly meetings from November thru March held at 4:00 PM in the Rec Hall. (November 14th, December 12th, January 16th, February 13th) and March 13th during our annual banquet. Please consult the club calendar for the exact dates, times and location. The days may change due to other functions and tournaments. Our Club operates by using the collaborative efforts of Board Members and Commities. We are always looking for volunteers that want to get involved by working with or becoming a Committee organizer or just be a volunteer for specific activities. It takes many hands to make good things happen. Use the "Contact Us" tab above to let us know what you are interested in. 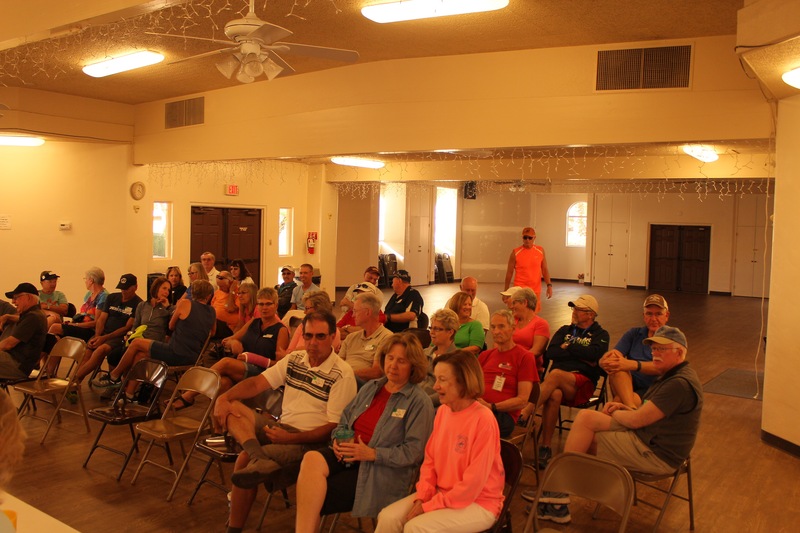 The Pickleball Club Committee concept is a work in progress where everyone that wants to, or not, can participate at any level. If you are a new resident to the park and you want to know more about pickleball play, please use the "Contact Us" tab above - and a pickleball representative will contact you. What is pickleball? Pickleball is a blend of tennis, badminton and ping pong. It can be played indoors or outdoors. The game was developed in the mid-60's in Washington State and the name is derived from Pickles, the ball-chasing cocker spaniel of one of the sport's co-inventors. Grab some popcorn and watch a short pickleball video. Get hooked like the rest of us! Join our PEM Pickleball Facebook group page. This is a closed group. Content and postings are viewable only to members of the group. 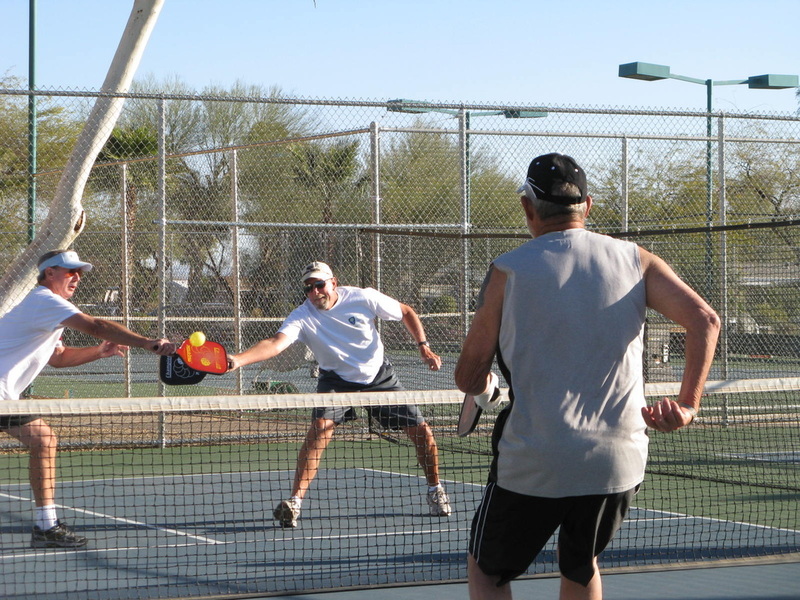 You must be a resident of our park and on the PEM Pickleball roster in order to participate. If interested, just send an email to pempickleball@outlook.com. Be sure to include your full name and site number. We will send you an invite to join. This is a great way to share informal information and set-up impromptu games with other players. Members can also post photos and send private messages to other PEM Pickleball members.